Throughout time, revolutions have begun with a single event that calls to action those who can no longer sit idly by and watch. 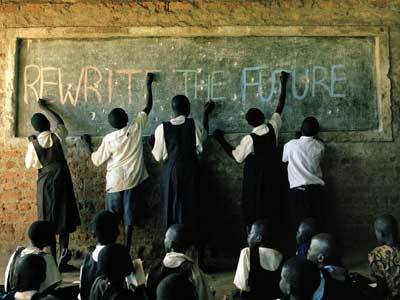 It is through these revolutions that people have won freedom from tyranny and made the world a better place. Still today there are revolutions happening all over the world, from large peaceful protests in Egypt to gatherings right here in America, agents of change are here to make us aware that we must take action. Now. For me, Our Revolution was a project that I first looked at with great curiosity and admiration. 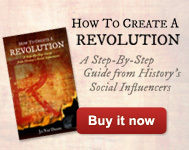 The two biggest questions I had where what is my revolution and how can I get started? Over time I figured those things out and if you have just watched the video below or seen it at the 140 Conference that Ja-Nae’ just spoke at you might be asking yourself those same two questions. Well, I have some answers for you. All around you there are things happening in your city that must be changed for the better. So what is your revolution? Helping Teens? Eliminating Homelessness? Ending Hunger? Human Rights? Fighting for Democracy? Clean Water? There are so many things that are happening here and abroad that need the support of the global community to raise awareness. Picking your revolution is the first step. 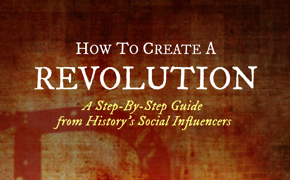 After you have chosen which revolution(s) you want to start or to be a part of, there are many three major levels of engagement. Your first option is to create an virtual Our Revolution cause – the technology available today brings together those who are local and not so local to be a revolutionary in your cause. Much like traditional community organizing, you can do this through social networks like Facebook and create petitions and other online activities to raise awareness. Your second option is to join an Our Revolution chapter or affiliate organization in your area to help make the change in the world. Your third option is to start your own Our Revolution chapter or affiliate organization for a cause you believe in and use the previously mentioned technologies and techniques to to bring together those in your local community to pursue activities at a local level that have tremendous impact. So are you ready to be the change you wish to see in the world? I know that I am and currently I am working to help Ja-Nae start Our Revolution chapters all over the world. It is a small world and we are all connected. Isn’t it time we make it a world that is safe and secure for our children and our grandchildren?